Present state: The street level buildings built into the viaduct still survive on both sides of the line. The main emntrace was on the down side with a smaller building on the up side. At track level the viaduct widens at the site of the station for the two stairwells which are capped with concrete. 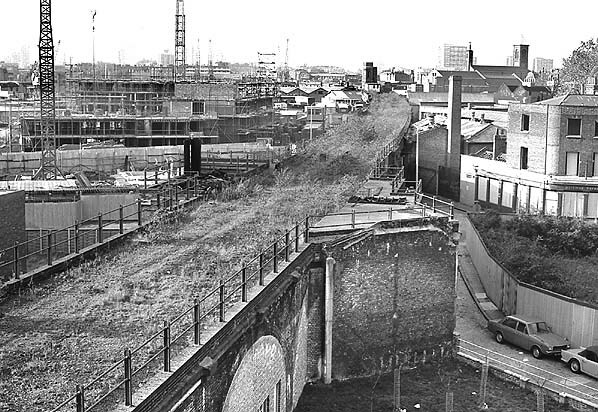 Notes: The platforms at Limehouse were of timber construction built onto the side of the viaduct. The main entrance was on the down side of the line with a smaller entranced building on the up side. Both buildings were incorporated into the side of the viaduct. 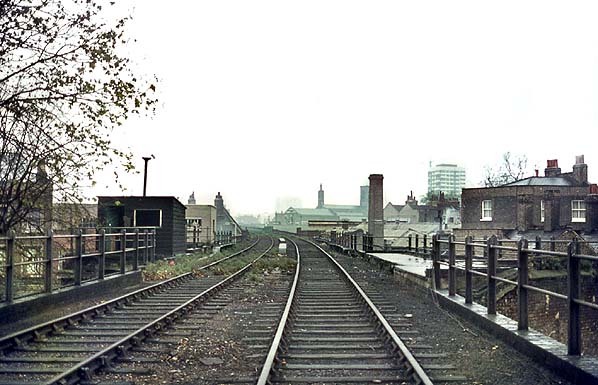 The platforms were removed in about 1929 but the track through the station remained in use for freight traffic until 5th November 1962 when the Limehouse Curve was taken out of service. The last passenger train to pass through Limehouse Station was the RCTS Northern Heights Railtour on 1st October 1960. 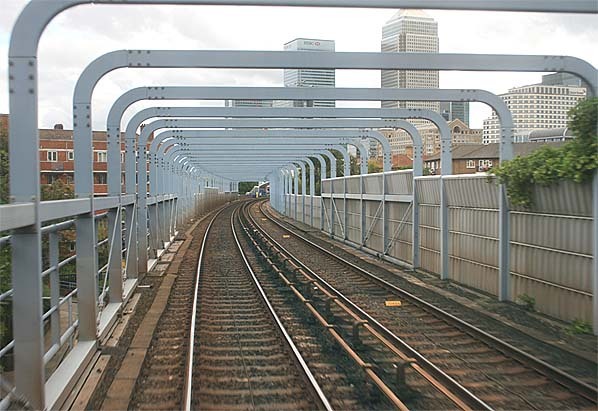 It ran from Fenchurch Street to Poplar via the Limehouse curve. Reversing to Millwall Junction it then took the North London Line to Camden Road and Edgware eventually terminating at Stratford. connection with any other lines the L & B opted for cable haulage with a gauge of about 5' (exact gauge not recorded). The L & B eventually sought new partners to increase revenue with several schemes being promoted. 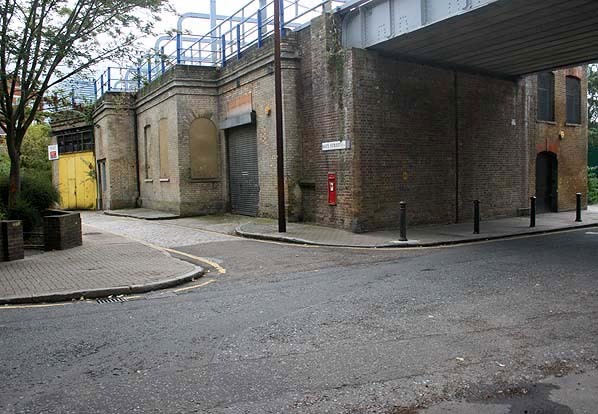 The East & West India Docks & Birmingham Junction Railway (later to become the North London Railway) proposed a line from the L & NWR at Camden to Poplar and eventually it was decided that this should run into the Fenchurch Street terminus via a connection at Bow. This scheme required a change of gauge and conversion to steam haulage for the L & B and the extension from Stepney - Bow opened on 28th September 1850. By the beginning of 1854 the Eastern Counties Railway were running trains into the City terminus from their Enfield, Hertford and Brentwood lines; the two companies jointly established the London, Tilbury & Southend Railway which opened on the 13th April 1854.
services were discontinued. 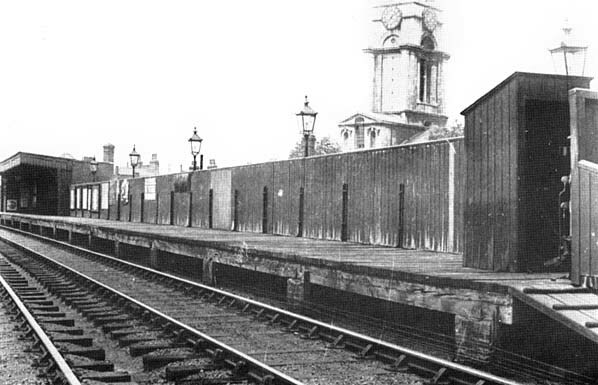 The number of passengers using the line east of Stepney continued to diminish and closure came on the 3rd May 1926, at the time of the General Strike. By this date the old London & Blackwall Railway had ceased to exist, being absorbed in the London & North Eastern Railway as part of the grouping resulting from the Railways Act of 1921. 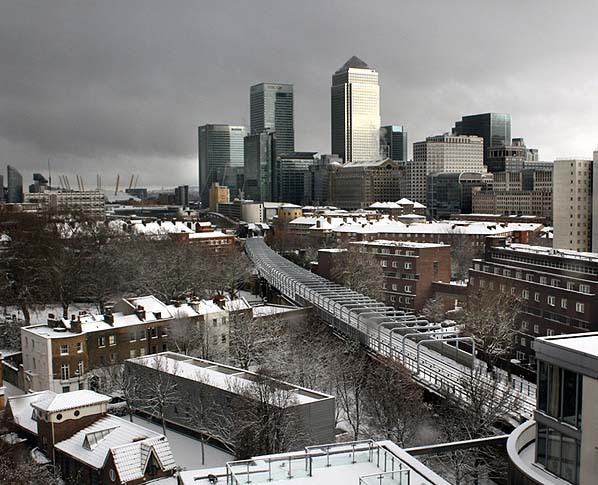 Looking east at the site of Limehouse station (centre of the picture) in December 2010.